USA Business Insurance offers new insurance programs to protect optometrists from general and professional liability claims. USA Business Insurance has developed two new customized business insurance packages: general and professional liability policies tailored for optometrists. These separate and distinct policies cover optometrists in critical areas of their practice including: bodily injury, property damage, premises/completed operations, errors and omissions and much more. 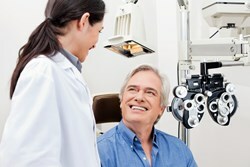 Under general liability, the eye specialist will be covered for any legal defense. This includes attorney’s fees, court costs, any court ordered judgments as well as reimbursement for time spent defending the case. Under professional liability, the policy provides a legal defense for any covered errors or omissions claims. For example, if a patient sues because she was not informed about a new type of eye protection that could help her, this policy will cover any resulting costs and damages. Affordably priced, these insurance programs are just what a diligent professional needs to be able to devote their time to their practice confident in their insurance protection. USA Business Insurance provides professional liability and general liability insurance programs specifically tailored for accomplished professionals. The company offers discounts, great rates and flexible payment plans.